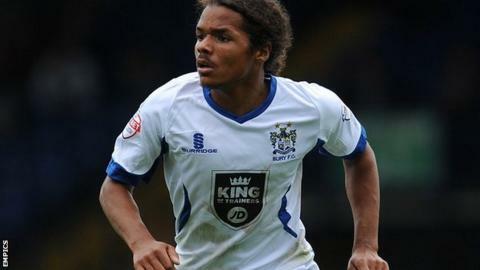 Championship side Huddersfield Town have recalled midfielder Duane Holmes from his loan at Bury. The 19-year-old joined the League Two side in August and had been set to remain with the Shakers until January. He made seven appearances for David Flitcroft's side, with all of them coming from the bench. Holmes, who has played once in the Capital One Cup for the Terriers this campaign, spent time on loan at Yeovil last season.